It’s the lingering that kills you. Or kills me. I just want to know, is it Yes or is it No? Is it done? Is it over? There are two podcasts I’m recommending today. I’ve enjoyed both for a long time, but yesterday—listening to them both back-to-back on a north-bound A train after getting some kinda-bad news, they were really helpful. And comforting. Because they reminded me I’m not alone in either my experience or my disappointment and sadness in the death of a project. Martini Shot is a weekly short-form segment—available as a podcast—hosted by writer and television producer Rob Long. It is—as its tagline states—a wry take on real life in Hollywood. It is always funny. It is often directly applicable to life in theatre, particularly commercial theatre. This is Rob Long and on today’s Martini Shot I talk about the best way to stay enthusiastic and creative and energized in the entertainment business, and that’s to have your show canceled and need to come up with something new. Takeaway #1 : You always know. Really. Why you want that house to burn down to the ground. Head here to give Rob a listen. I don’t know why you are not already listening to this podcast if you are not already listening to this podcast. 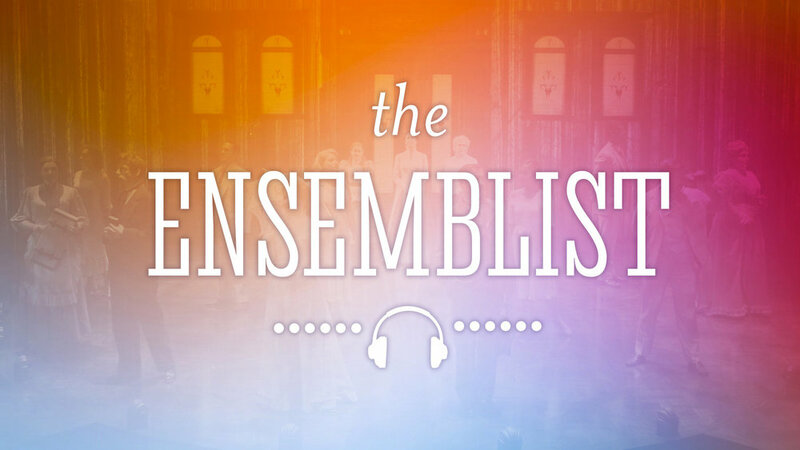 The Ensemblist team have been on podcasting hiatus for four months but their website and blog have been super busy during that time and now they’re starting to release some of those blog entries in audio form. The first of these includes a really wonderful account of what it feels like when one job ends and you don’t have anything lined up. It’s by Aaron J. Albano, who I had the pleasure of working with at Cats. His is the first segment of Episode #107: This Spring On Broadway. Aaron really nailed this topic. You can read it here, or give it a listen here. I’m trying to bring my audition zen to rest of my work life. It is a process. Sharing my experiences working and living as a professional artist is tied directly to my work as a teacher and coach. I love this work and would love to share it with you. Full bio here. Teaching resume here.